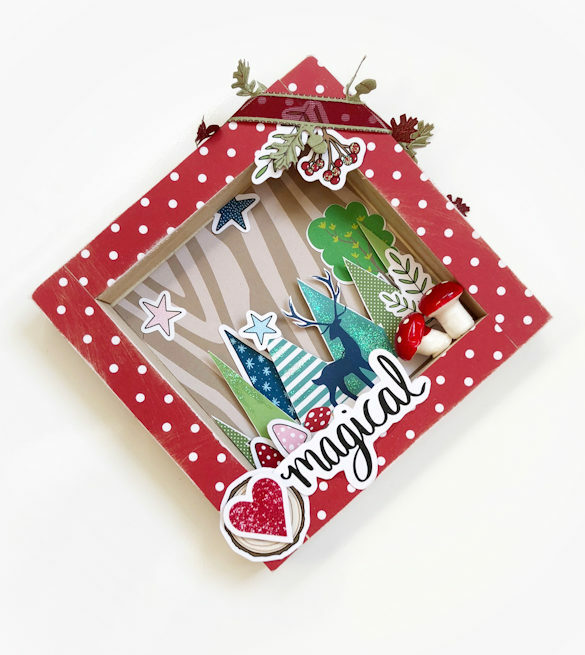 Hi everyone, Becky here today sharing with you this decorative scene shadow box. I was so pleased to see the theme of the November kit, Enchanted Forest. Although it isn’t really christmassy I feel you can definitely create Christmas things with it..and that’s what inspired me to create this. I picked up this wooden frame from The Range for about a pound! I kept the outer frame really simple by using some on the patterned paper, I took an emery board and filed parts of the paper just to give it a bit of a more rustic feel. For the main scene part I just took a strip of the patterned paper and cut around the trees and the deer, I added some of the die cuts and a tree sticker and added some glitter to give it a bit of sparkle. Look how cute those toadstools are! I just had to use a piece of the ribbon as it is so pretty and unique so I added some to the corner which I feel finished it off nicely. I can’t wait to have this as part of my Christmas decorations. 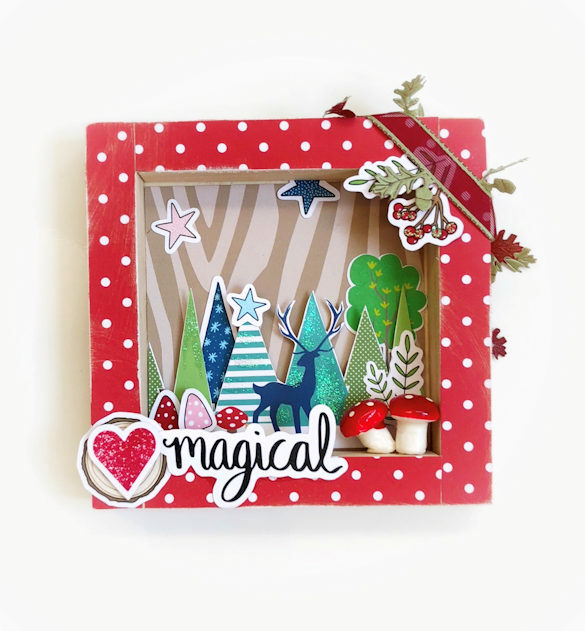 You can still buy this Enchanted Forest Kit here.